As I’ve pointed out elsewhere, Internet-posted fanfiction from the ‘90s comprised some of the original on-line “e-books”. And it’s still insanely popular today, even occasionally spawning professionally-published books that go on to become mega-hits. But the question of the legality of fanfic continues to be a controversial one. How do you know if your fanfic is “legal”? And what should you do if you get a cease-and-desist notice? 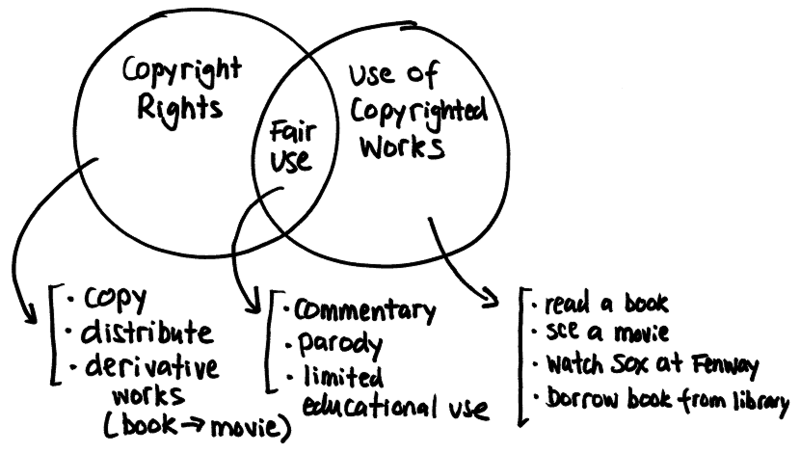 Of course, the only real way to find out whether a particular fan work is “fair use” or not is to take it to court and let a judge decide, and not many fanfic writers are going to want to do that. Fortunately, more and more creators are coming to recognize the promotional power of fanfic as an incitement to readers to investigate and purchase the original works. But perhaps one of the most fascinating things about the article comes in the comment thread that follows it, in which Steve Vander Ark, creator and publisher of the Harry Potter Lexicon website and subsequent book, discusses the legal reasoning behind and the impact of the lawsuit that prevented the book from being published in its original form. He points out that the original website had asked and been granted permission by all parties concerned with Harry Potter copyright ownership to use copyrighted material on its website…so why was it suddenly not kosher to use the same material in a book that was just that same website in another form? That being said, he was nonetheless happy with the judge’s decision, as it provided guidelines he could use to rewrite the book to pass legal muster and be published after all. Image by Eric J. Heels, originally posted to erikjheels.com, “Drawing That Explains Copyright Law” – reproduced here under Creative Commons http://creativecommons.org/licenses/by-nc-sa/3.0/us/. Previously used here.